Pilot and "Independence Day": After two episodes, it is safe to say that this latest medical drama tried to offer up something supposedly edgy but ended up with just another ho-hum medical procedural. But at least Matt Czuchry gets to play the lead after being second - and then third - fiddle in his last series The Good Wife. Czuchry is good here. And also wasted. Maybe, hopefully, his storyline will pick up and he develop more as a character, rather than just being the rebel without really a cause. Standouts so far include Billions fave Shaunette Renee Wilson and late entry Melina Kanakareded. Both ladies brought a complexity to their characters given their little screen time. 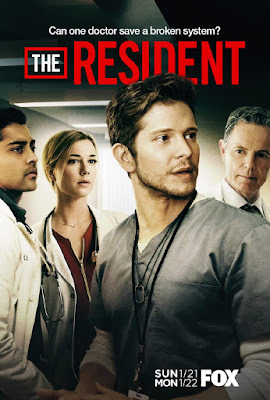 Emily VanCamp, on the other hand, as the female co-lead ain't no Nurse Carol, and so far, other than being shown to smart, attentive and had a thing with Czuchry's character, is kind of a blah/blank. At least she has chemistry with Czuchry. Lastly, we have Bruce Greenwood who is so good at being slimey. Oh right, we also have Manish Dayal as the (very) annoying intern. Less said of him the better. With The Good Doctor and this airing together, it does make one miss the good times of quality medical drama of ER and House. Although at least The Good Doctor has more heart in it and isn't afraid to be all schmaltzy. Truth be told, the first season of Code Black wasn't all that bad comparatively.